TW has a facelift for the month of November. In honor of the Clone Wars anniversary celebration, four characters have gained a buff for TWs (just for this month). General Grievous, Mace Windu, Count Dooku, and Coruscant Underworld Police are feeling the love in TW... but what about outside of TW? How have these characters changed your TW planning? Oh, and did you forget this is the month of SWGOH's 3rd anniversary? What can we expect for this celebration? 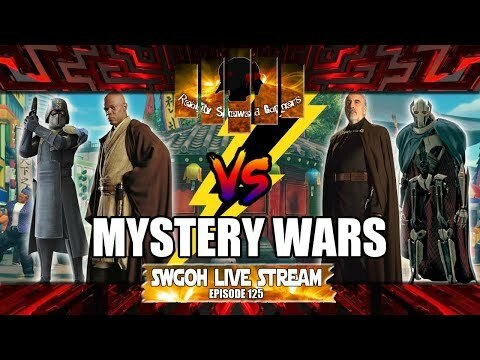 Join us for this and more in this week's SWGOH Live Stream!